The BaaSid project is an encrypted database that stores the personal information of its users with a complex computational format. It is an extension of BaaS (Blockchain as a service), a concept that entails an opportunity for individuals to borrow Blockchain based services partially or entirely. The platform operates without a decentralized database server. BaaSid is a decentralized hub that locks down sensitive info like name, phone number, email address, passwords, credit card pins, and biometrics, in a way that makes it completely inaccessible by a second party – almost as if it vanishes. It also serves as a means of identification and ID verification, so that internet providers and organizations can login securely and discreetly to their business hubs. An individual’s personal data sent into the network is split into hundreds of data fragments, which are in turn also split to give about a thousand different nodes of a single data set. Data fragments from separate unspecified individuals are then stored collectively in a Split Block. Hence, one Split Block contains the “Split IDs” of various persons. A Split ID is an infinitesimal portion of a person’s entire identity within the database. The regular Blockchain is a public ledger that although encrypted, is still susceptible to hacking because the data being stored comes from numerous internet users, each being stored the same way as the rest. In contrast, each BaaSid data set is distributed and stored in its own unique way. BaaSid, therefore, tackles the limitations of Blockchain. In essence, data that is stored on BaaSid is encrypted in thousands of tiny bits so it is virtually impossible for unauthorized access to occur. Authorized access to the information embedded in the database is highly restricted. The Instant Access is a one-time package used by the participants in a Split ID, to access the info. It provides user login, instant membership, and authentication of payment. This one-time access automatically confirms participants’ verification. 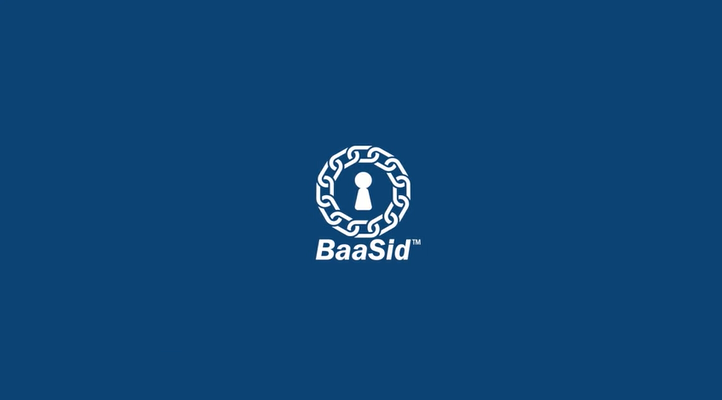 With BaaSid, there is no existence of user database, private info, identification nor third-party certificates. The cryptocurrency unit of BaaSid is the BAS token. It is an ERC 20 type token. BAS can be mined by two ways: PoW for processing transactions and PoH (proof of holding) for distribution and storage of personal information. The incentives are based on performance in PoA and PoH. The price margin of the project is 1ETH to 150,000 BAS. The ICO will commence on the 15th day of April, 2018. BaaSid will reduce costs of security and maintenance issues such as buying firewalls and loss of data. The certification and verification processes are easy and secured, making room for instant access. There is no interference from third parties, banks or governmental organizations. The minimum amount for participation in this project is 0.1 ETH. The Split IDs within each Split Block are similar to pieces of a gigantic puzzle, or minute pieces of an entire fingerprint. This innovation makes the database seem extremely abstract and difficult to decode. Almost as if there’s nothing there. This platform will make all internet services safe and convenient.